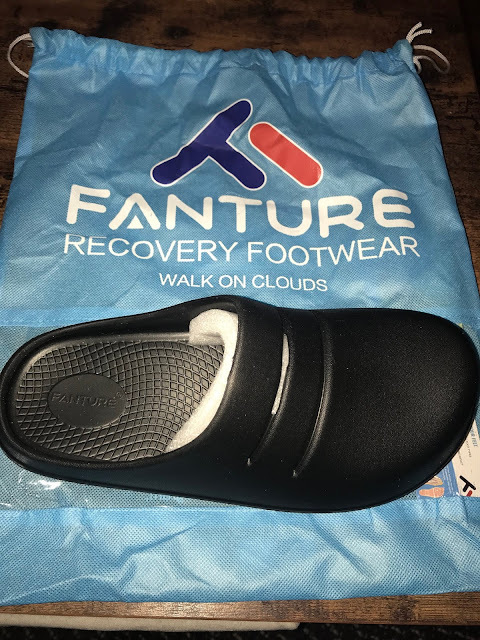 These are Fanture Recovery Footwear shoes in the HALO pattern. 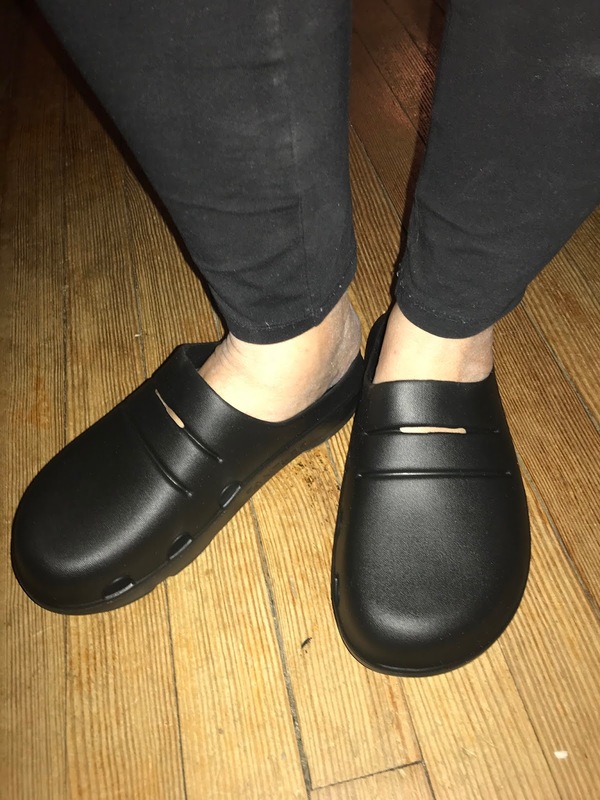 This shoe is designed with orthotic arch support. 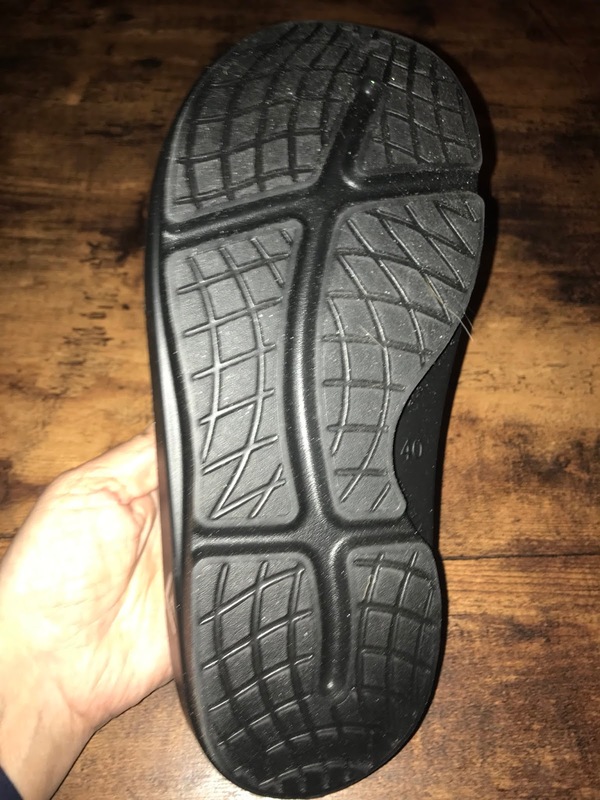 It is great for people like me who are flat footed because it helps to distribute the weight throughout my foot, especially when standing still, and while walking as well and gives comfort. The shoes are very comfortable. They look a little bulky but they are lightweight and very comfortable. I can feel the cushioning under my feet with every step I take in these shoes. It feels so wonderful! Whenever I get home from being out all day, where I do a lot of standing or walking, I throw these on. They are so pleasant to stand in and relieve that stress on my feet. If it were summer I would be wearing these out all of the time, but with it being winter, I have just been wearing them in the house. The HALO shoes have a nice treading on the bottom of the shoe for added traction. I would recommend that if you are a half size, like me, you go down instead of up in size. For example, if you are 8.5, get a size 8. If you are not sure of your size, measure the bottom of your shoe and check the size chart. HELP TO FOOT PAIN RELIEF & RECOVERY: Foot pain diseases: plantar fasciitis, heel spur, flat feet, arthritis, neuritis, achilles tendinitis, bunions, metarsalgia, esamoiditis, shin splints, hallux rigidus, hammer toes, fibromyalgia, etc. Recovery after everyday workout: walking, rambling, running, jumping, cycling, swimming, ball sports, rambling, holiday, leisure and work. Be your daily company! Disclosure: I received a pair of these shoes to review for this post. 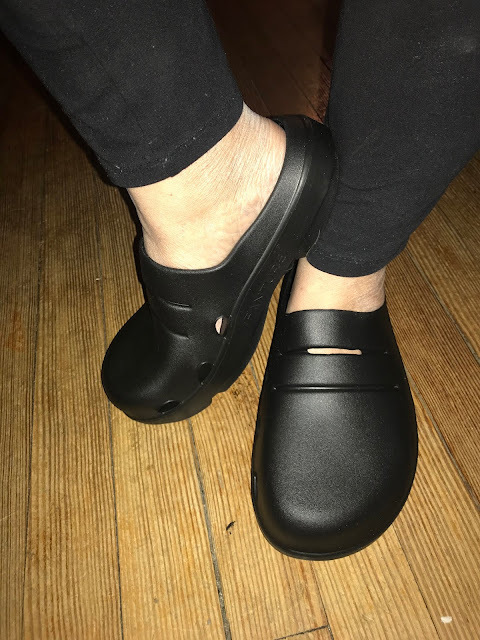 These shoes look very comfortable and I like that they are lightweight and not heavy on the foot.